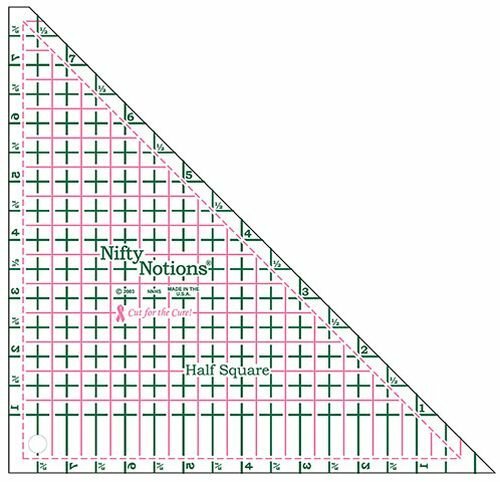 The Half Square ruler makes half square triangles. You can also use it to square up blocks up to 7-1/2". 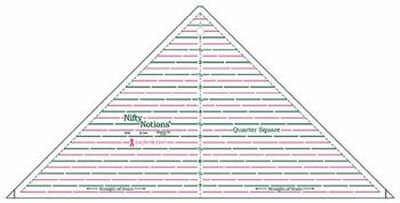 It is perfect for making Flying Geese, along with the Nifty Notions® Quarter Square Ruler (NNQS). The Half Square ruler also makes a great border.